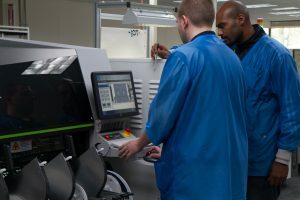 When a COTS solution isn’t available, Annapolis Micro Systems helps businesses, OEMs and government agencies develop breakthrough solutions and platforms to meet unique program objectives and requirements. We are dedicated to helping your team from start to finish to create the most efficient and cost-effective solution for your toughest deployments. We reduce project risk by providing proven hardware architectures and productivity software combined with long-term support. In addition to these capabilities, we are just as proud of what we don’t do. 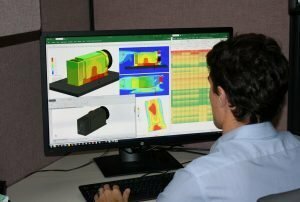 We don’t rely on outsourced engineering, manufacturing, or software/firmware development – it is all handled under one roof in Annapolis, Maryland. So, the knowledge and control we wield is comprehensive, for the benefit of our customers! Annapolis maintains an integrated and agile Wild40 EcoSystem architecture for high-end data acquisition, processing and storage. Some of the products in this extensive EcoSystem – e.g. some mezzanine cards – were modified from other boards, based on the needs of a particular customer. Customers can draw from our extensive FPGA, DSP, and I/O expertise. We support our customers’ development effort from prototype to production, for dozens to thousands of copies. Annapolis got its start as a subcontract developer, being one of the earliest companies to design boards based on the first Xilinx FPGAs. We maintain that custom solution capability today. Our highly-trained engineers work with customers to build a board to their exact specifications, from initial design to full production. This turnkey capability helps customers shorten their development cycles to get their products to market quicker. Annapolis employ a select team of experienced FPGA designers dedicated to helping you solve your greatest processing challenges while minimizing your time to market. We offer complete high-performance FPGA-based Systems across OpenVPX (6U & 3U), PCIe, and MicroTCA platforms. These systems have flexibility designed in, for rapid deployment to a variety of applications. We provide the most comprehensive and easiest-to-deploy Board Support Package, reducing programming time from weeks to just days. Our patented Open Project Builder™ software provides a VHDL- or GUI-based toolflow, drastically reducing program cost and risk. Whichever path you choose, you can rest assured knowing that your board or system is built on a solid foundation of our 35 years – and hundreds of engagements – of FPGA-based knowledge and experience. Contact us today to learn how Annapolis can help you develop a custom or collaborative solution!